A CCTV camera multiplexer is an electronic unit that is able to combine the video transmission signals from more than one camera into one single channel or transmission. These units are often used where processors, VCRs, Digital Video Recorders or DVRs, and monitors can only handle one input. The multiplexer, also known as a Mux, in essence reduces the multiple camera feeds by creating one output that combines all of the inputs to the multiplexer. The multiplexer was originally designed to facilitate multiple analog video signals into one output signal for analog recorders. In other words, multiple analog CCTV camera signals were difficult to record simultaneously on an analog signal recorder such as a Video Cassette Recorder or VCR. The CCTV camera multiplexers provided an essential function of combining multiple analog video signals into one output. So instead of using four VCRs to record four different cameras, one VCR could be used. Although CCTV Camera multiplexers were originally designed to accommodate the difficulty of recording or viewing multiple analog cameras on one source, they are not limited to analog camera use alone. Depending on the design of your system, multiplexers may be needed for use with digital video cameras and/or analog cameras. CCTV camera multiplexers are available with a variety of multiple inputs and many different features as well. Each camera input to the multiplexer is usually called a “channel.” The most common CCTV camera multiplexers have four, eight, nine, or sixteen channel inputs. Most multiplexers connect to CCTV camera transmission cable using BNC connectors and are designed to use one output which is normally connected to a VCR. Multiplexers may be either simplex or duplex in function. A simplex multiplexer can only handle the camera inputs, combine them in to one viewable output, and send that output to a device such as a monitor or VCR. A full duplex CCTV camera multiplexer has the same capability of the simplex multiplexer, however it not only allows recording from all the available camera inputs but can display the VCR tape simultaneously. The majority of CCTV camera multiplexers provide the output display signal in full color. There are a few that are available in black and white only and most color multiplexers provide the option of displaying black and white. 240) or NTSC 865 x 525 are fairly common. Additional features may be found on individual CCTV camera multiplexers depending on the manufacturer, type, and other factors. Some of those features may include motion detection, timer and programmable switching, user defined and password protected camera masks. CCTV camera multiplexers that include motion detection can be a big plus. Since the recording is often being done by a VCR, either additional tapes must be added when the current tape is filled, or a loop-able tape is used and when it reaches the end of the tape, it re-records over the beginning. If the multiplexer has motion detection, it often can be used to turn on and off the recording function of the VCR. If full time recording is not necessary (such as an empty parking lot) and recording is only necessary following a motion event (such as a car parking in the parking lot), this can save tremendous amount of VCR tape space. Many multiplexers also come with timer and programmable switching. This function allows you to set recording times and cameras on and off. If your system only needs to record in the evening for example, you can program this on the multiplexer. In addition, programmable switching allows you to select what cameras you want recorded. Password protected camera masks are another useful feature. Since your system contains more than one camera, there may be camera views that you prefer to be restricted to only certain individuals. You can create a camera mask to cover the other camera views so that only the cameras you choose are displayed. 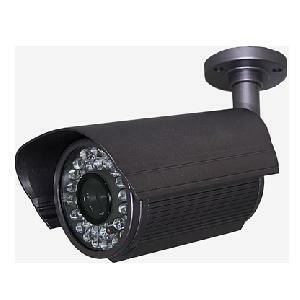 CCTV camera multiplexers can be a useful accessory for any video monitoring and security system, especially older analog type camera systems. Multiplexers come in four, eight, nine, and sixteen input types with a variety of features to suit almost any need. 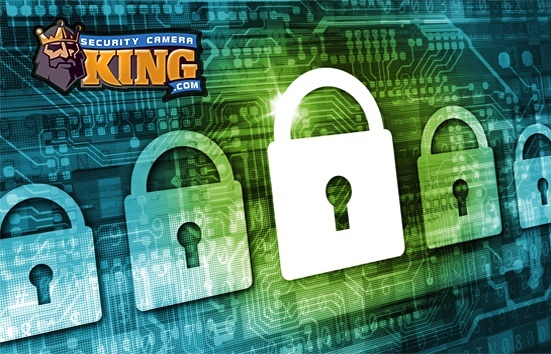 Check with your digital security expert today to see what a multiplexer can do for your system.